Tonight: Clouds return. Late showers possible. Mid 30s. Tomorrow: AM sprinkle, then peeks of PM sun. Mid and upper 50s. Friday: AM rain. Falling temps, gusty winds. Near 50. 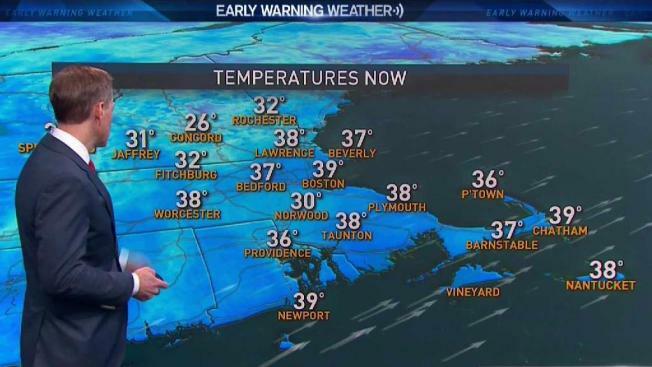 Morning clouds and sprinkles, some of which created slippery travel in parts of Connecticut and Rhode Island during the commute, break for sunshine over the course of today as highs climb into the 40s. A few of the warmer spots will be near 50 for Valentine’s Day. It will be dry during the evening for any of your dinner plans, but clouds return after midnight with a few more light showers drifting through southern New England early Thursday. Those will be done early in the day, allowing temperatures to soar into the 50s by afternoon. Some towns may actually approach 60! Yet another weak disturbance rides through with a few light showers Friday morning. Early in the day, we’ll still be in the 50s, but behind those showers, temperatures will drop as cooler air returns. As that happens a few snow showers may crop up across the mountains of northern New England. Saturday is briefly chilly with highs in the 30s. Then it gets more interesting. 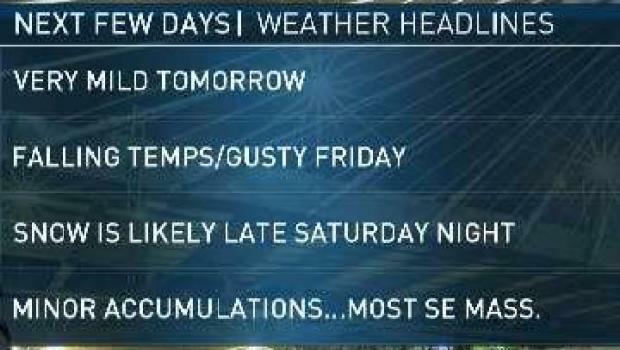 A fast-moving storm will try to spread a quick shot of snow into New England late Saturday night into early Sunday. The exact track and speed with which the storm intensifies will determine how much snow falls. Right now the pattern does not favor a major storm, but rather a quick shot of snow on the order of a few inches. Most of this would fall during the nighttime hours, meaning minimal impact for the majority of us. We’ll keep a very close watch on that over the coming days, but regardless, another shot of warmth returns for several days next week with temperatures at least reaching the 50s.